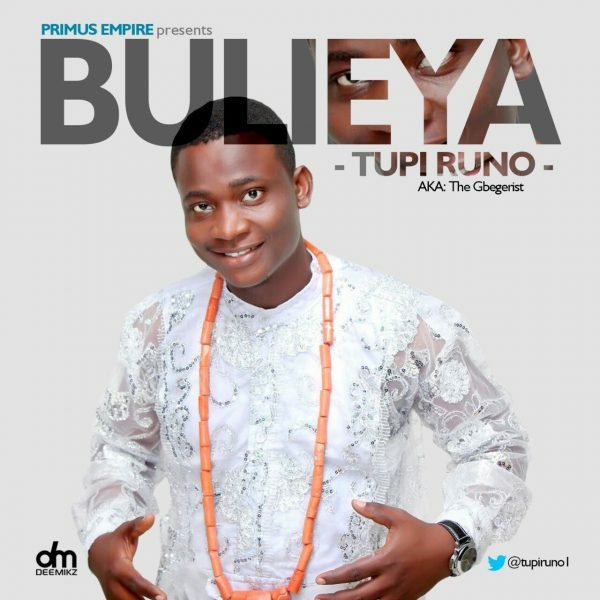 The lover of God and Gospel singer Paul Runo Shishe, stage name Tupi Runo releases his new single ‘Bulieya’. The Chemical Engineering Graduate of the University of Port Harcourt, stated his solo art career in 2010 and is also a scripture union graduate from 1998 -2000. Tupi Runo has been graced to share the same stage with top Gospel artiste Frank Edwards, Joe Praize and Samsong. He currently runs an NGO “Nobo2Sombo Foundation” and he is the CEO of Primus Empire, a Christain Music Label. He is currently the youth pastor of RCCG Wisdom Zone, Port Harcourt, Rivers Province 3 and also the youth pastor of RCCG Grace Sanctuary Kuwait. Paul Runo Shishe is happily married and blessed with 3 Children.